Natural stones are unique and you won’t find two exactly the same. 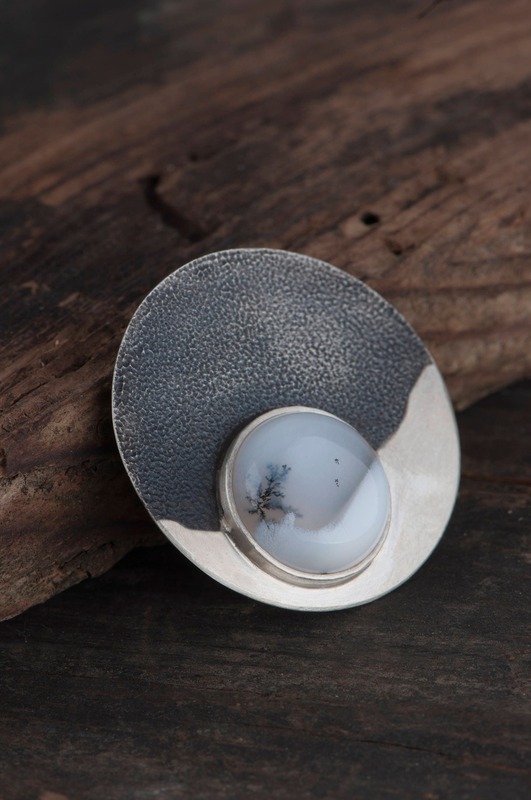 For this winter brooch I chose a dendrite agate – one of a kind stone in every possible way. Every example has an unrepeated pattern and black and gray shapes which look like leafs, trees or parts of beautiful scenery. 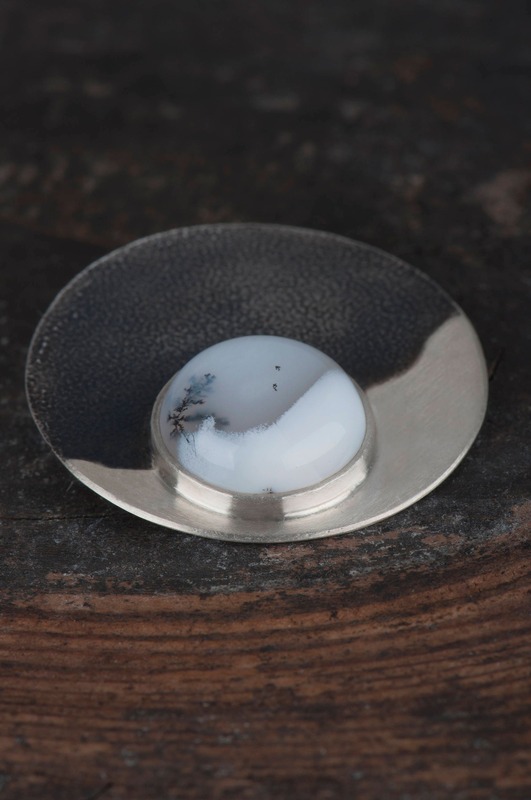 Because of it dendrite agate is sometimes called landscape stone. 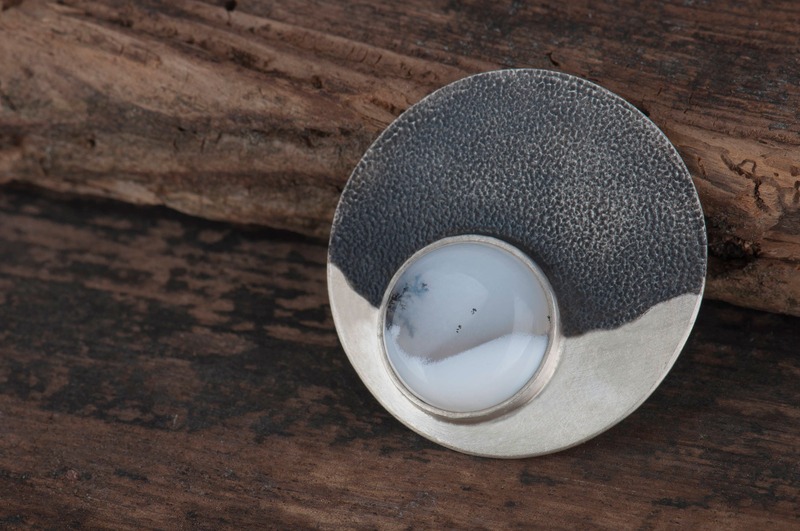 For the first winter brooch I made a setting which repeats the round shape of the stone. 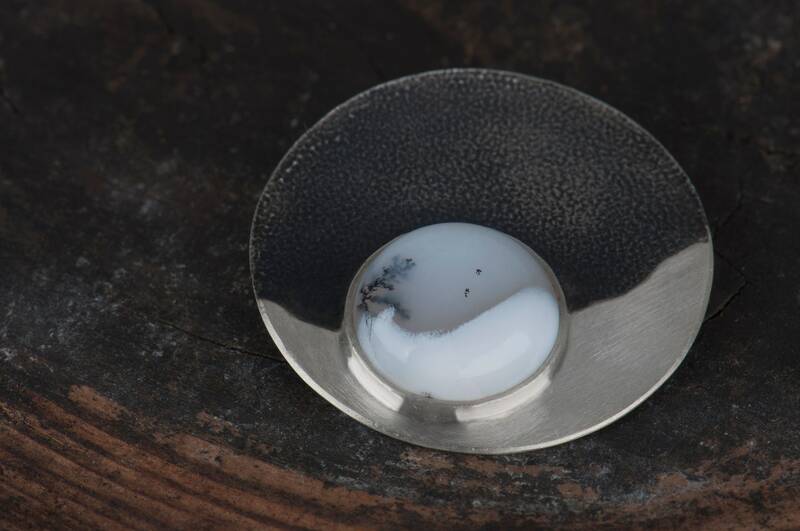 The silver plate continues landscape pattern of the stone through contrast of a bright satin finish and blackened silver. 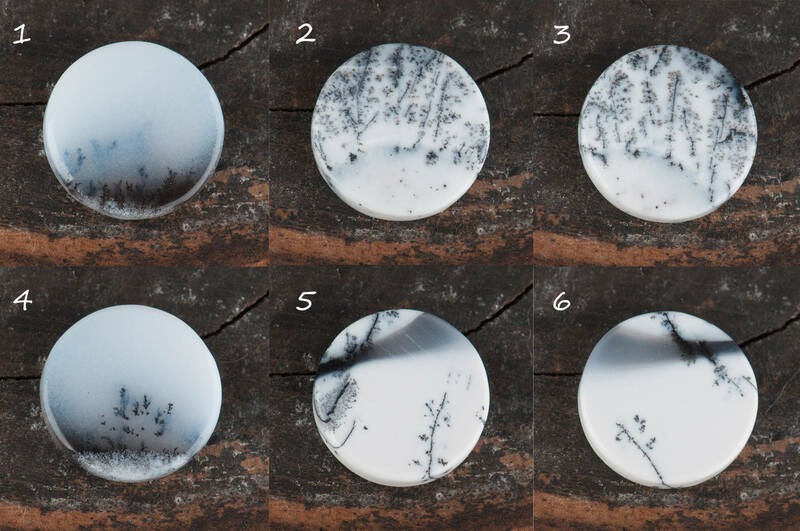 On the photos you can see examples of dendrite agate I have in my workshop at this moment. 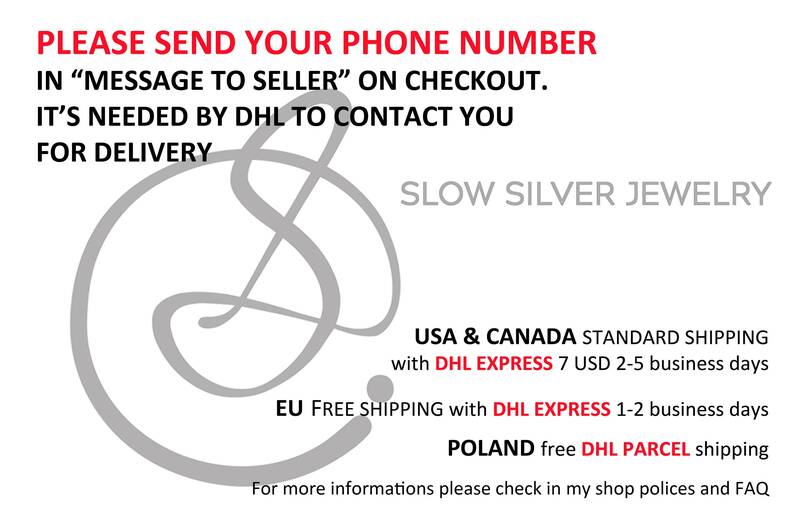 Please send the 'message to seller' on the checkout to inform me which one you like the most and I will design a unique brooch for you. As you can see it's more like a custom order than ready item and you will be a part of the designing process. 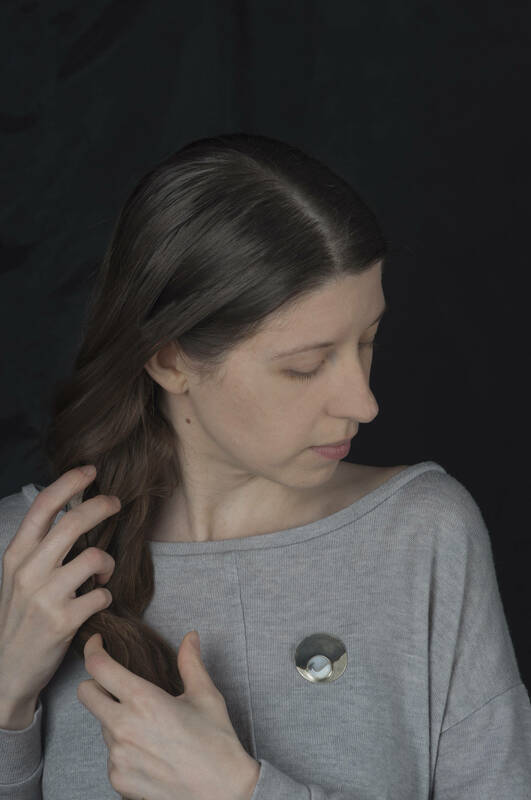 In result you will receive a personalized piece of jewelry - one of a kind winter brooch, which can be something precious for you or a special gift for a person you love. 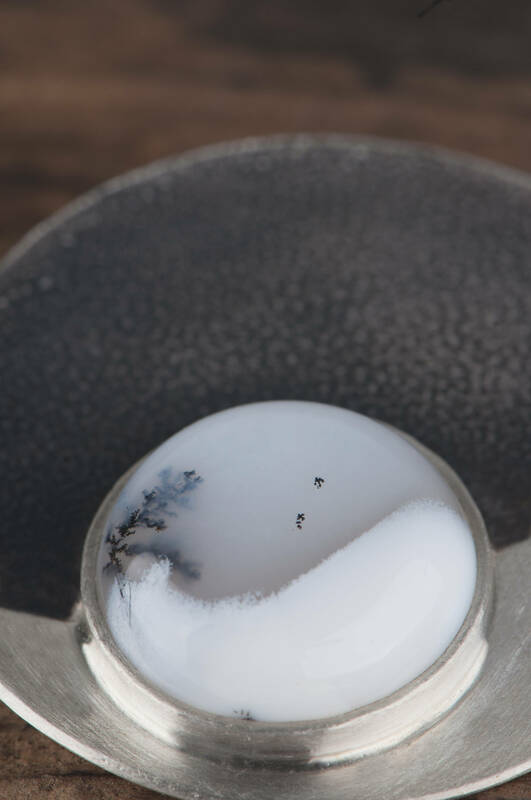 Dendrite agates I have bring to my mind snowy winter or mountain landscape. 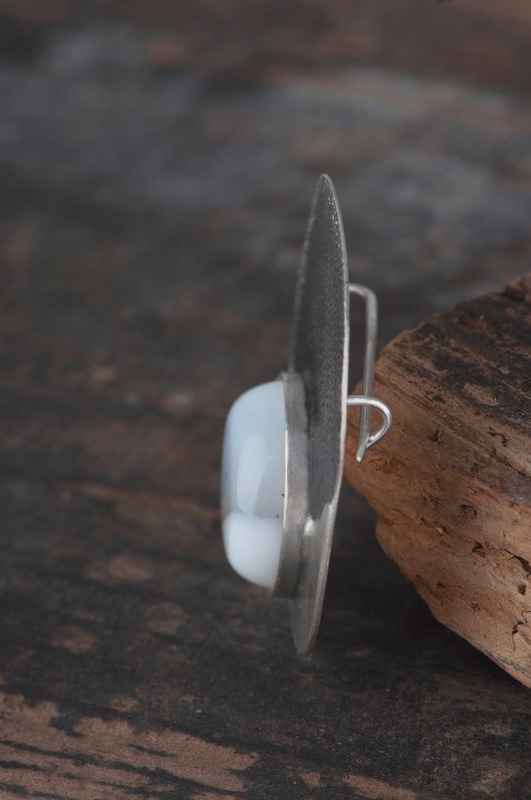 I think that this winter brooch can be a great gift for a mountain lover, nature lover and a person born in winter as well. But most of all for somebody who love unique and unrepeatable jewelry. 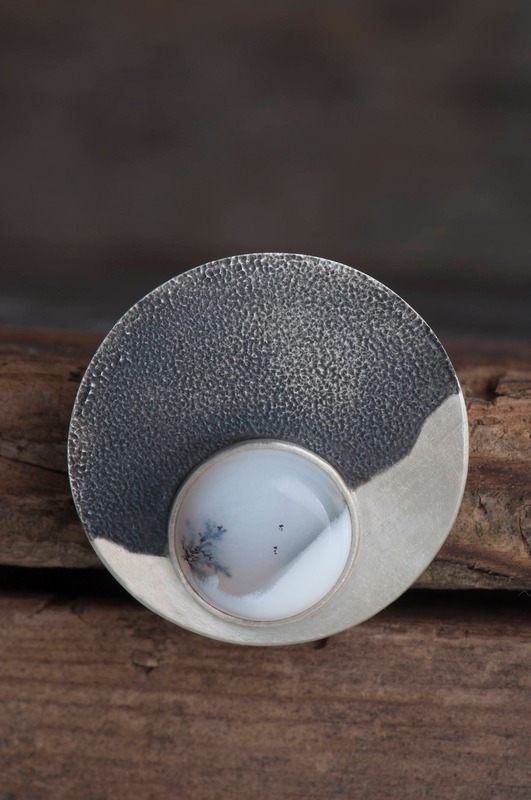 Your winter brooch will arrive in an elegant box ready for giving. I can ship it to a third party and include a special card with a personal message from you inside the box if you wish.